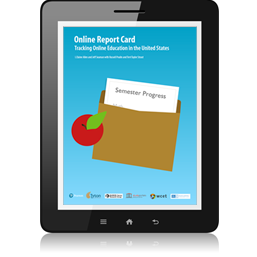 Online Report Card – Tracking Online Education in the United States, is the 13th annual report of the state of online learning in U.S. Higher education. The 2015 Survey of Online Learning conducted by the Babson Survey Research Group and co-sponsored by the Online Learning Consortium (OLC), Pearson, StudyPortals, WCET and Tyton Partners, is the leading barometer of online learning in the United States. READ PREVIOUS SURVEY REPORTS BELOW.